Have a yen for doll collecting? Japanese Kokeshi Dolls originate from the Sendai region of northern Japan. They are handmade from wood and display as a simple trunk with an enlarged head with a few thin, painted lines to define the face. The body has a floral or particular design often painted in red, black or sometimes yellow, covered with a layer of wax. The bottom of each doll is marked with the artist’s signature.The wood used varies from cherry wood for it darkness through to dogwood which is used for its softer qualities. For more information see this Kokeshi Doll site. For further examples of Oriental Art from my ‘Is It Art‘ site, click here. 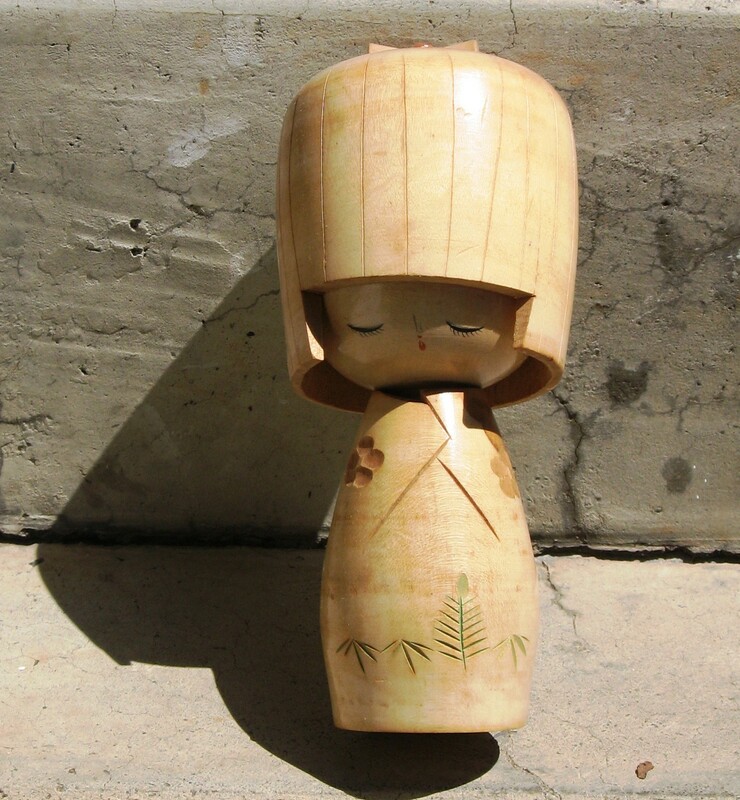 This entry was posted in StreetArt and tagged Japanese wooden dolls, Kokeshi. Bookmark the permalink.